With years of experience in the domain, we offer our customers a quality assortment of 3 Burner Glass Cooktop. Available with us in various elegant designs; the given stove comes in both black and designer glass. Further, clients can get it at reasonable rates. 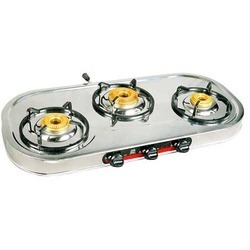 Leveraging over the skills of our qualified team of professionals, we are instrumental in offering wide range of 3 Gas Stove Burner (3 Burner Cooktop). 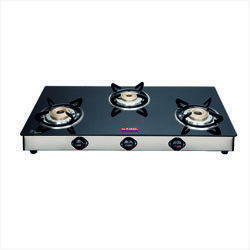 3 Burner Gas Range 24x72x30"
We offer 3 Burner Gas Range.